With August upon us and September coming up, I’m thinking head for the beach. September can be the hottest month in Southern California, so for anyone visiting this time of year, a trip to the beach can a perfect way to cool down and enjoy some sun, sand, and surf. 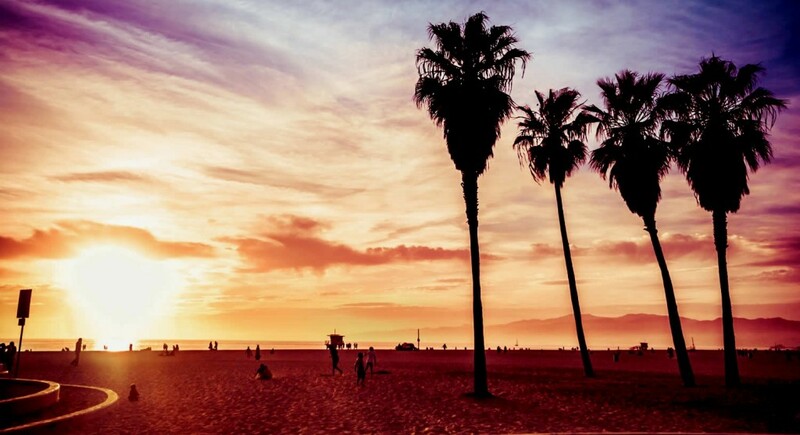 There are many great beaches to choose from, but the closest, and easiest to park, as well as most well known is Santa Monica beach and adjacent Venice Beach (aka Muscle Beach). This wide stretch of sand is easy to get to, and although you will have to pay for parking, you’re nearly guaranteed a spot just steps from the life guard towers. Take the foot path – or bike path – down a ways you enter the wild and crazy Venice Beach, known for all sorts of stuff (for lack of better word.) And, if you head north, you’ll hit the Santa Monica pier and Pacific Park. Truly, there is something for everyone at this beach. Just bring your sunscreen!